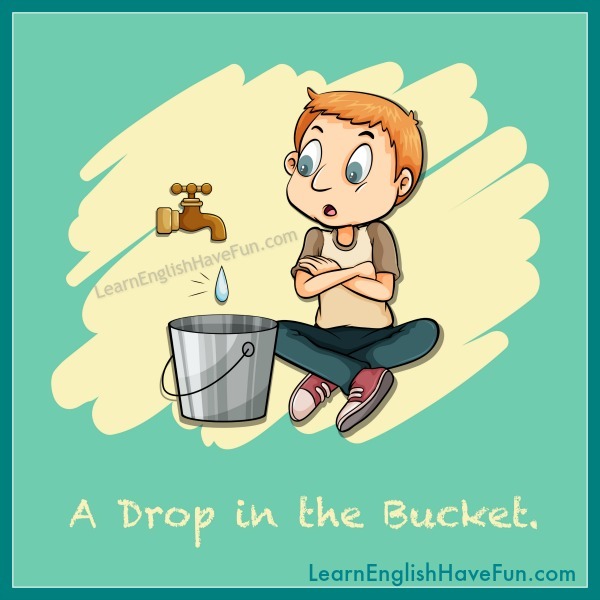 Drop in the bucket: a very small or unimportant amount when compared to something else. A bucket could hold tens of thousands of drops of liquid so a drop (one drop) would be a very small or insignificant (unimportant) amount of the entire bucket of liquid. For years businesses have dumped toxic waste into the ocean thinking it was just a drop in the bucket but that behavior has destroyed many ecosystems. I cleaned for eight hours today but that's just a drop in the bucket of the work I need to do to get this house cleaned and organized. They caught one of the managers stealing form our inventory but that's a drop in the bucket of the internal theft in this company. I shouldn't be surprised I failed the class. The studying I did was a drop in the bucket of the requirements and I never went to class either. A $30 donation may seem like a drop in the bucket but Wikipedia says if everyone donated that amount their fundraising would be over in just one hour. We'll have to hire about 12 temporary workers because the holiday orders we fulfilled today are only a drop in the bucket of what we've got to do. I raked leaves all afternoon but I know it's just a drop in the bucket and the lawn will be covered again tomorrow. I know $200 is a drop in the bucket but please use it to make an extra payment on your student loans anyway. Your pennies may seem like a drop in the bucket but we're collecting coins from a total of 500 people so it's going to be a successful fundraiser overall. My company made a million dollars this year but that's a drop in the bucket compared to other businesses in the industry. The bake sale raised only a drop in the bucket of what's needed to buy the new football uniforms. "Two cans of beer at lunch?" "Yes. That's actually just a drop in the bucket of what I usually drink." The number of sit ups and pull ups you did today are just a drop in the bucket of what you'll be doing in future workouts. The bank tellers got a $100 bonus but that's a drop in the bucket compared to what the management team got. Please sign-up for my free newsletter if you want to learn about new updates to my website. I also send a monthly audio magazine, learning tips and information about my writing contests (for great prizes). 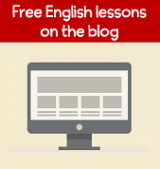 Practice by writing your own sample sentence in the comments box below. It's much easier to remember new vocabulary when you write your own phrases.